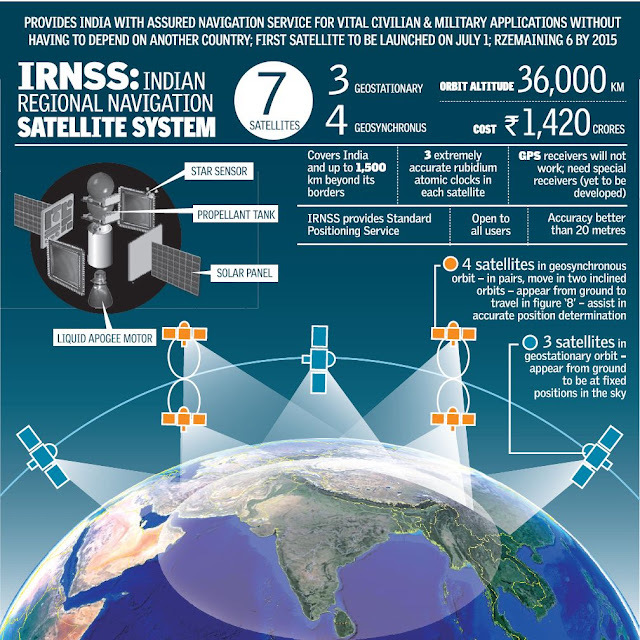 Indian Regional Navigation Satellite System (IRNSS) is an independent, indigenously developed satellite navigation system fully planned, established and controlled by the Indian Space Research Organization (ISRO). The space segment consists of the IRNSS constellation of seven satellites. Three satellites are in geostationary orbit and the remaining four are located in geosynchronous orbits.